Part I: “Godly Government” which is a chapter from my forthcoming book project, The Final Hour. Part II: A collection of articles on “Godly Government” written by yours truly for Shulamite Women Magazine‘s What Say Ye? column. Part III: A Prayer Guide Index for the president, nation, economy, etc. This is not about President Barack Obama or Governor Mitt Romney, red or blue, donkeys or elephants, Democrats or Republicans. It’s about the Church’s responsibility to God and nation to pray–and act–Thy Kingdom come, Thy will be done in our nation as it is in heaven. You may purchase your very own copy of Godly Government here. You may also view my guest blogs on the subject as well. 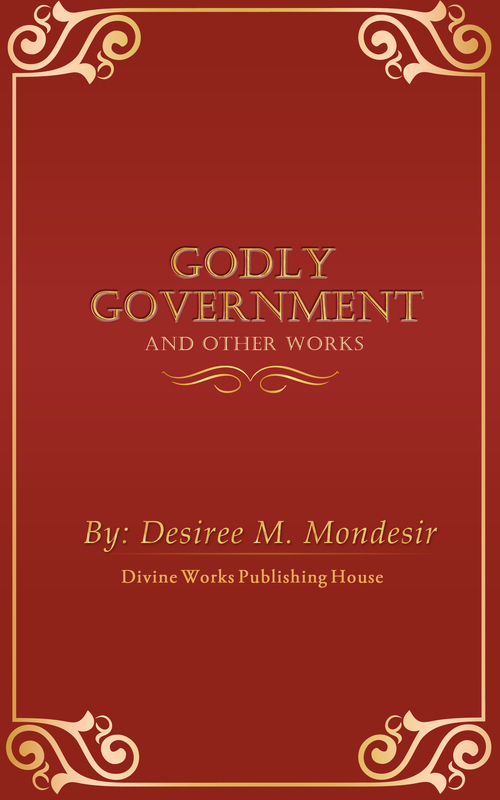 I hope that you will enjoy reading Godly Government as much as I enjoyed writing it for you!